Every woman knows the importance of choosing the perfect bag – and everyone’s idea of “perfect” is a little bit different. That is why Thirty One Gifts has an enormous array of fashionable and functional totes, handbags, storage containers and more! Thirty-One Gifts exploded on the direct sales scene in 2003 and quickly shattered records with their unique prints and personalized bags. Their product line has since grown to include jewelry, fashion, home accessories and more! You can shop online by style, collection, and even print! As a Thirty One Gifts Hostess, you can earn free and discounted products by hosting a show in your home or online. They even have Host Exclusive Products which easily top everyone’s wish list. Thirty-One Gifts offers a generous compensation plan and family atmosphere to help you achieve whatever your goals may be! They offer two different kits to get started that have everything you need to grow a thriving Thirty-One Gifts business! Speaking of the perfect bag – Independent Thirty One Gifts Consultant Jamila Barahona sent me THE perfect bag for inclusion in this year’s Diva Holiday Gift Guide! The Thirty One Gifts Boutique Backpack is perfect for the gal on the go! Fashionable and functional, this bag does it all. My college student daughter quickly laid claim to this gorgeous bag in her favorite color. 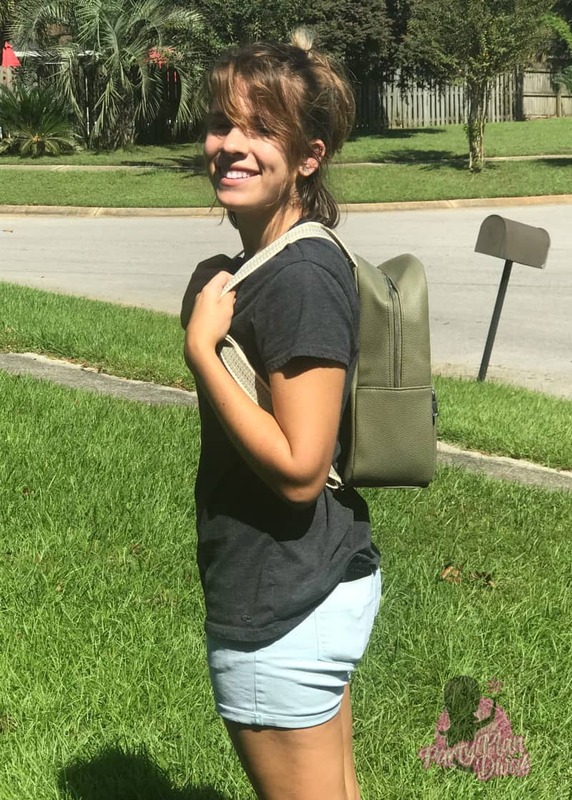 The Boutique Backpack is a fashion-forward backpack purse that easily goes from daytime to nighttime and lets you stay hands-free! With plenty of pockets on the inside and one on the outside, you can carry all of your essentials easily and with style. 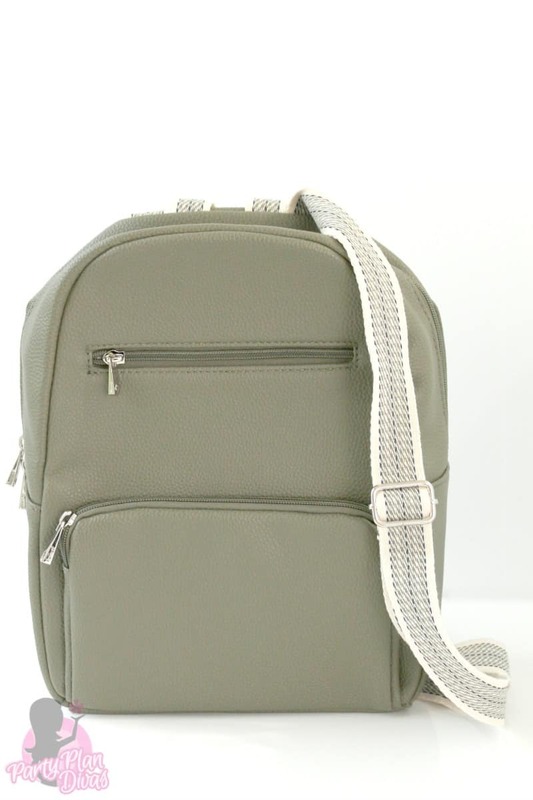 The adjustable straps make this bag super comfortable to wear long term – even when leaded down! Sam absolutely loves this bag for daily use to and from school, work, the beach – you name it – she takes it everywhere! This bag – along with the dozens of others Thirty-One Gifts has to offer – is perfect for everyone on your holiday shopping list this season! I am so excited that Independent Thirty-One Gifts Consultant Jamila Barahona is giving away a Boutique Backpack to one lucky reader! You can enter using the RaffleCopter widget below! Good luck!